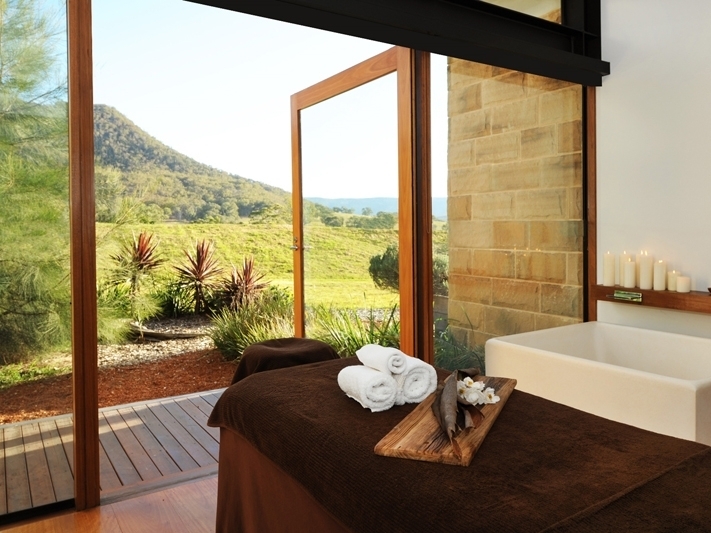 Our experience at the Emirates One & Only Wolgan Valley started long before we had set foot in the doors of this magnificently beautiful property, which has been awarded as one of the best resorts in the world. It was just under a 3-hour drive from Sydney’s North Shore, with some pretty breathtaking scenery on the way. Set amidst the stunning scenery of the rugged Greater Blue Mountains it was incredibly amazing. This place had such an authentic and Australian feel. Our jaws practically hit the floor when we opened the door to our 2 bedroom Family Villa. I’ve spent quite a bit of time at some pretty swanky hotels around the world, but this one takes the cake! With forty free-standing luxury villas (each with their own private terrace and swimming pool) have been constructed using cutting-edge technology and carbon-zero initiatives, but fashioned to echo the original heritage and blend seamlessly with the beauty of the terrain and complete privacy. At Wolgan during your stay, your breakfast, lunch and dinner, non-alcoholic beverages and a select range of local wine and beer with meals are included in the tariff. Win Win! The ideal family retreat or perfect luxury honeymoon hideaway. Each suite takes full advantage of the expansive views and backdrop of imposing escarpments. During our stay, we fed horses, visited the 1832 Heritage Homestead and the kitchen garden, trekked through pristine creeks and native bushland, rode bicycles and took photos of kangaroos and wombats. It's a great chance to get close to some native wildlife. We lazed by the pool to soak up the sun and also spotted a huge international celebrity who will remain nameless. But let’s just say she was a long way away from Hogwarts. 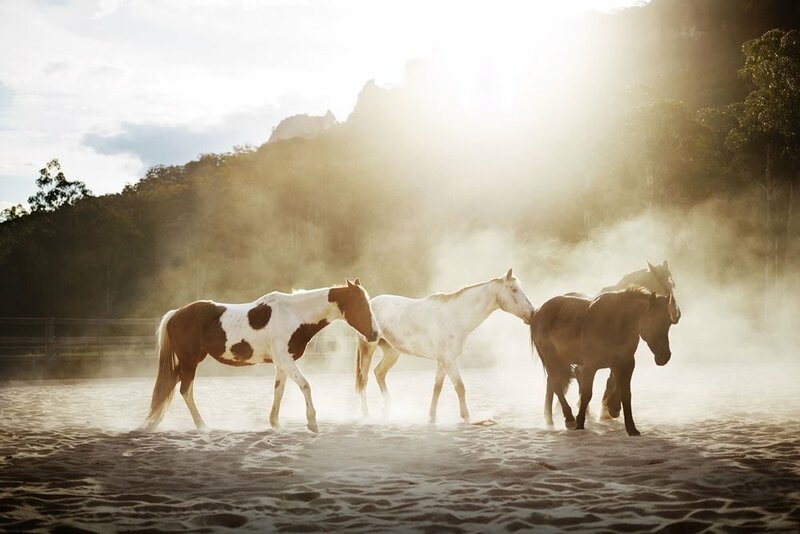 There are also a number of additional activities available that offer plenty more opportunities to get out and enjoy the magnificent scenery, including horse-trail riding, mountain-biking and nature walks. For the less adventurous or those just looking to unwind, the Timeless Spa is the perfect place to relax and enjoy a treatment — with the mountains and valley as a stunning backdrop. When you don't have weeks to head overseas, but still want a honeymoon that's relaxing and memorable - where perhaps five days feels like two weeks - Wolgan Valley really is the perfect honeymoon. 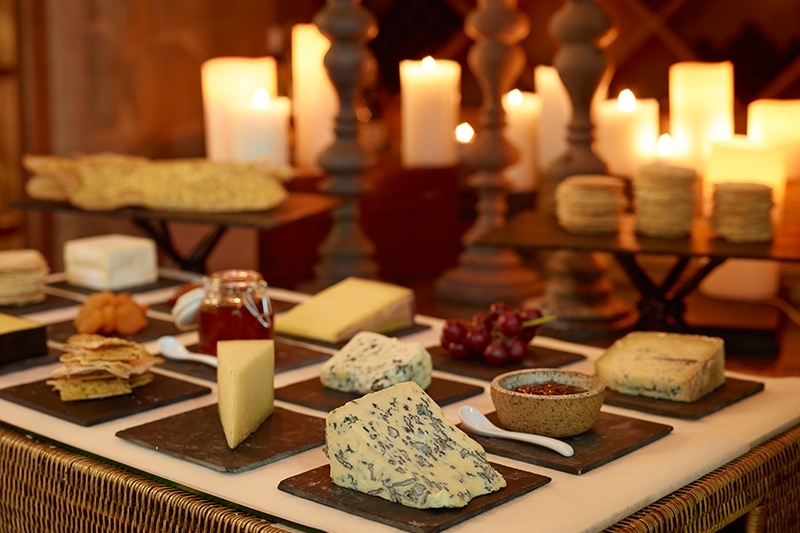 It also caters for weddings, which would be as much of a treat for the guests as it would for the couple. And as destination weddings go, the distance from Sydney coupled with the scenery and food, make it an appealing choice. One & Only Wolgan Valley is absolute luxury, supreme privacy and awe-inspiring natural beauty of this breathtaking conservation retreat, nestled in the heart of the Greater Blue Mountains. Its safe to say it won’t be our last visit to One & Only.